Everyone is affected by cancer in one way or another, and there are many forms. 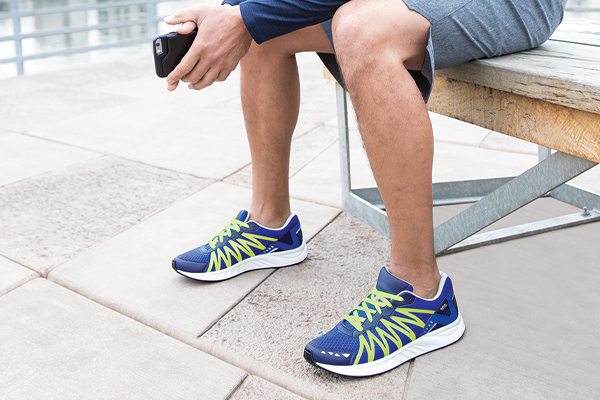 During the month of October, SAS will donate to the American Cancer Society for each share. 3. 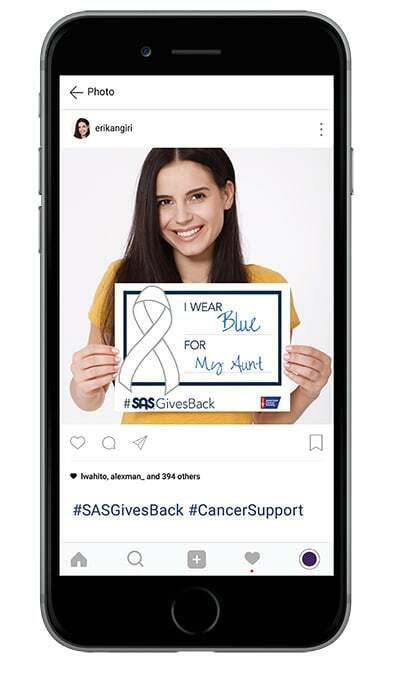 Share on social using #SASGivesBack and #CancerSupport. Be sure to make your photo public in the privacy setting so we can track it and reach the most people to raise awareness for the cause. To pick your color selection, use the key below. To raise overall awareness, choose the light purple color. * No purchase required. SAS has pledged a maximum contribution of $15,000 to the American Cancer Society in connection with this program. The contribution for each social media post will vary depending upon the total number of qualifying posts made during October 2018. For the month of October, you can also check out our limited edition 2018 Breast Cancer Awareness pink ribbon shoes and handbag, and wear pink with pride! We updated our stylish Marnie, the perfect go-to sneaker, in Gum pink leather, adorned with a Breast Cancer Awareness Ribbon. The popular Pampa sandal, with a contoured insole that’s like walking on clouds, is now available in this Gum pink leather as well, with the same ribbon embroidered on the side. 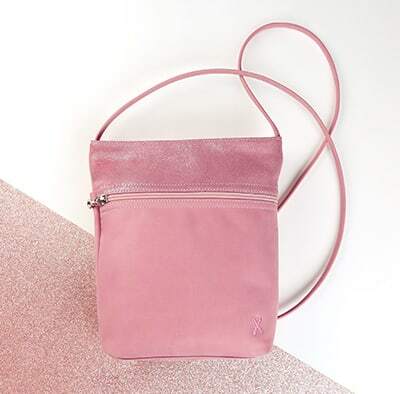 You can show your support with our new Darla crossbody handbag, perfect for carrying everyday essentials. SAS also donated these Breast Cancer Awareness products to QVC’s 2018 FFANY Shoes on Sale, the largest fundraising event in the footwear industry to benefit breast cancer research. Tune in to QVC Thursday, October 11, 6-9pm ET/ 5-8pm CT.